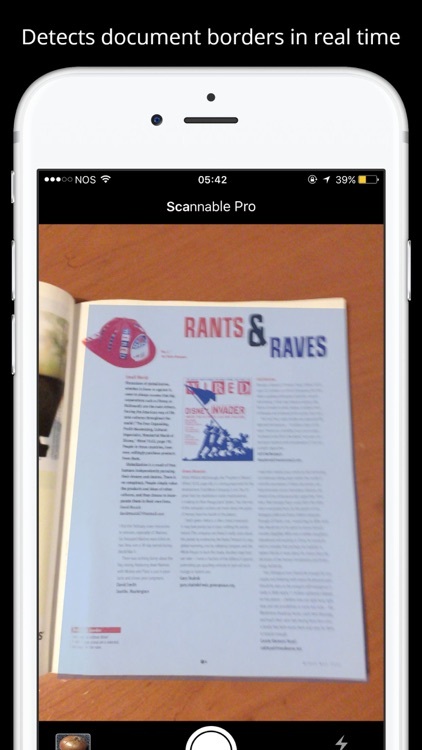 Scannable Pro is a hand held portable scanner in your pocket. 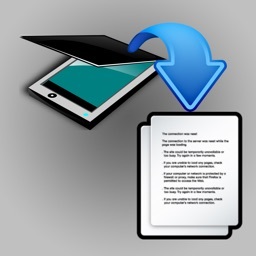 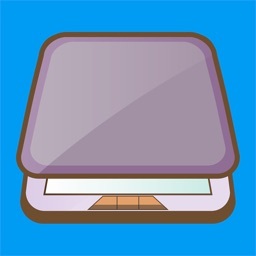 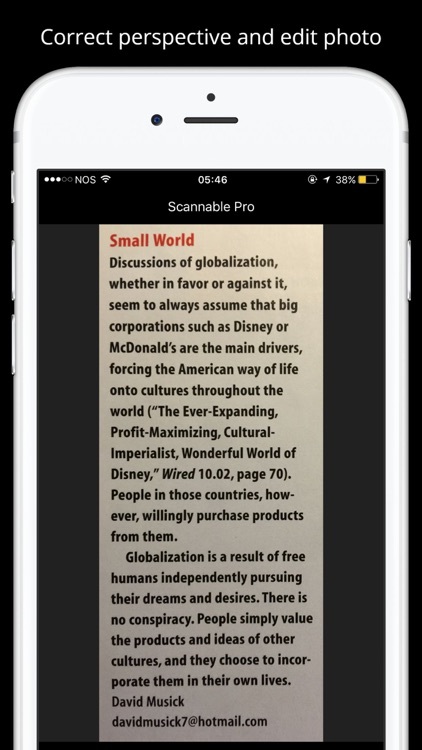 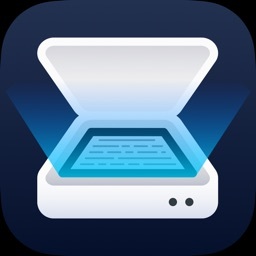 The best app for quickly scanning and saving a digital version of a paper document. 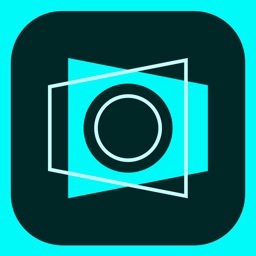 Advanced color processing algorithms detect borders, correct distortion and geometry. 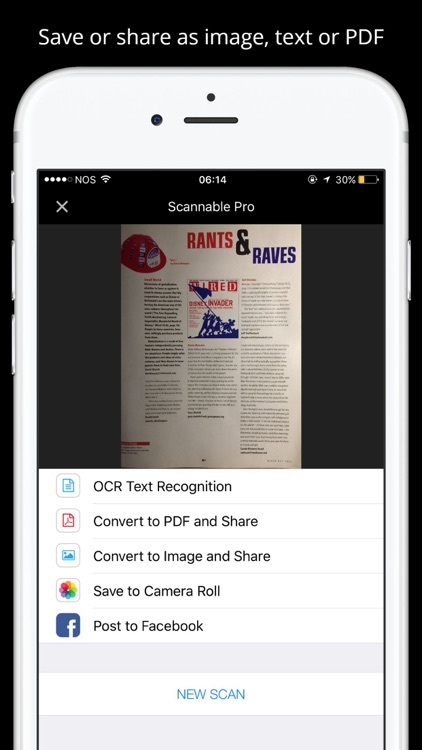 Scanned documents can be shared, emailed, uploaded to online services or simply saved on your iPhone or iPad. 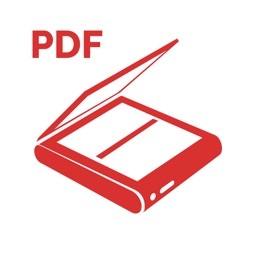 Save as image or as PDF. 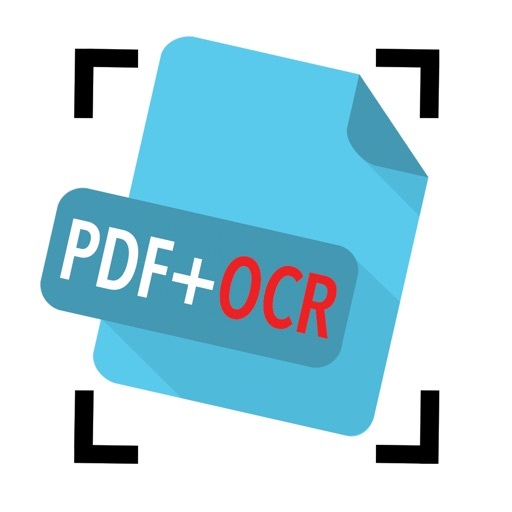 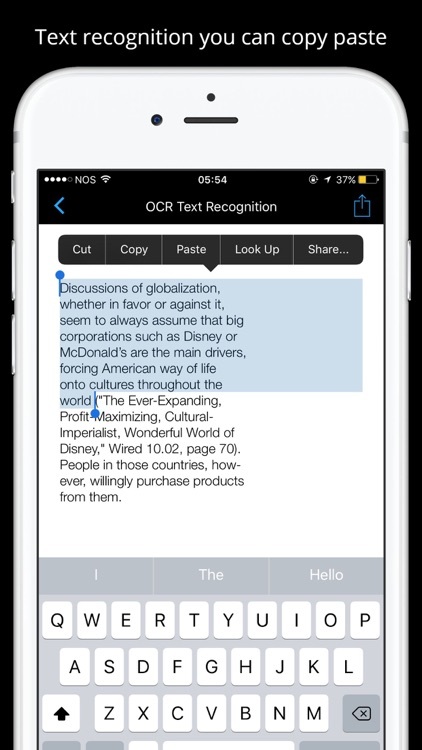 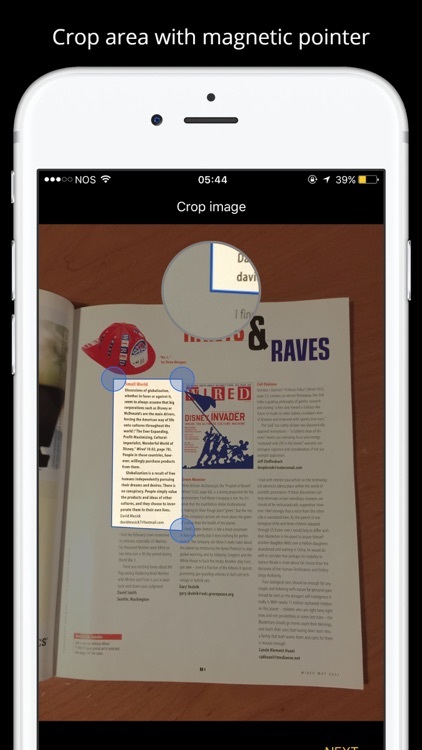 Use Text Recognition (OCR) to copy and share the text.